Lift-and-slide door / fabric / PVC / industrial - Tecnoindustriale s.r.l. 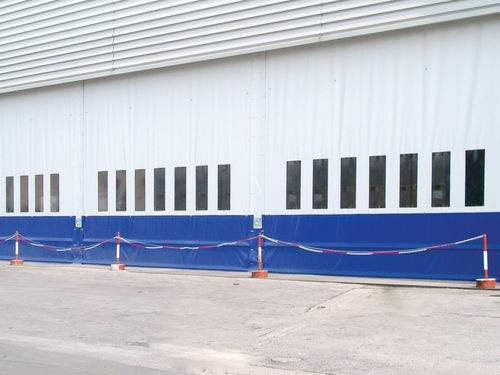 Building - Construction > Industrial Building Equipment > Lift-and-slide door > Tecnoindustriale s.r.l. 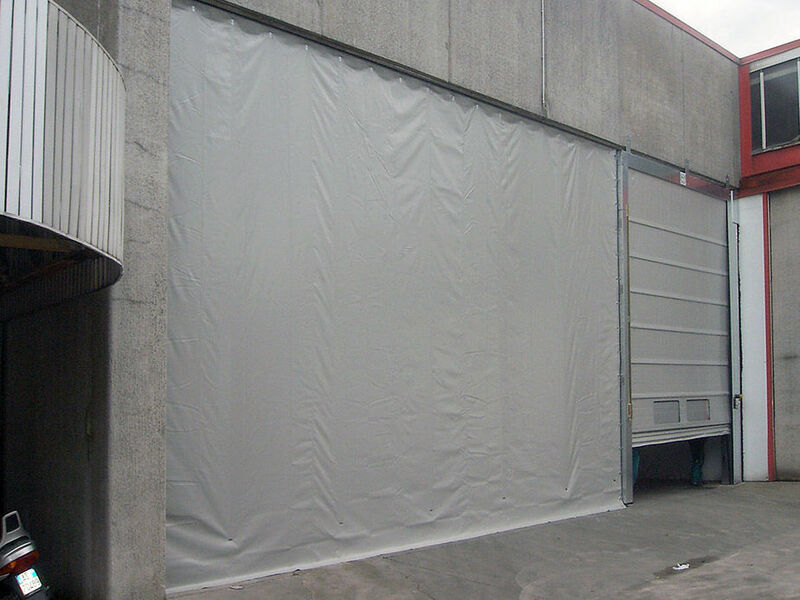 Wall made in strong high resistance PVC double-spreaded polyester mantle, Class 2 fire resistant, equipped with heat-welded belts for tensioning and specific accessories for opening (both lateral or folding), insertion of transparent windows available. 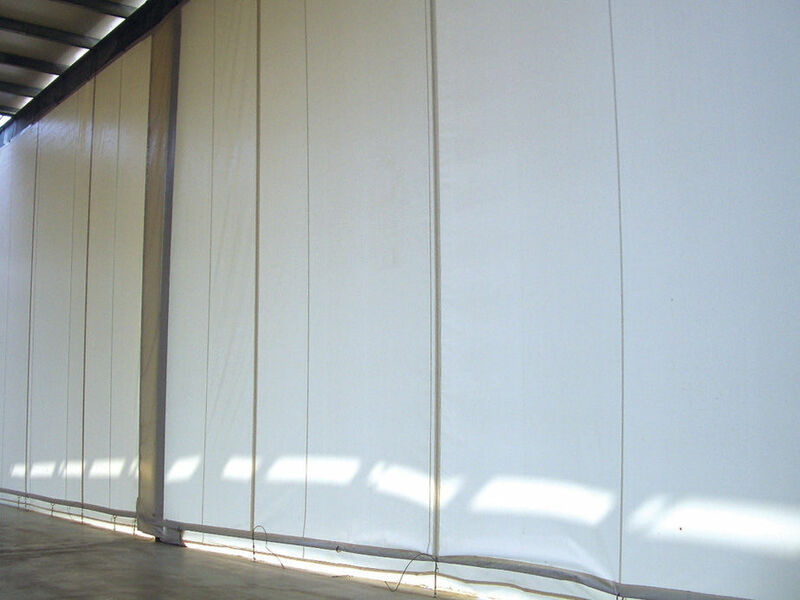 Sliding dynamic walls are tensioned and anchored to the floor by high resistance vertical belts, at 1,5 m space from each other (this measure may vary according wind load), heat-welded to the mantle on internal side for better aesthetic result. Lateral sliding runs on a specifically dimensioned track, fixed to the ceiling or on lintel. 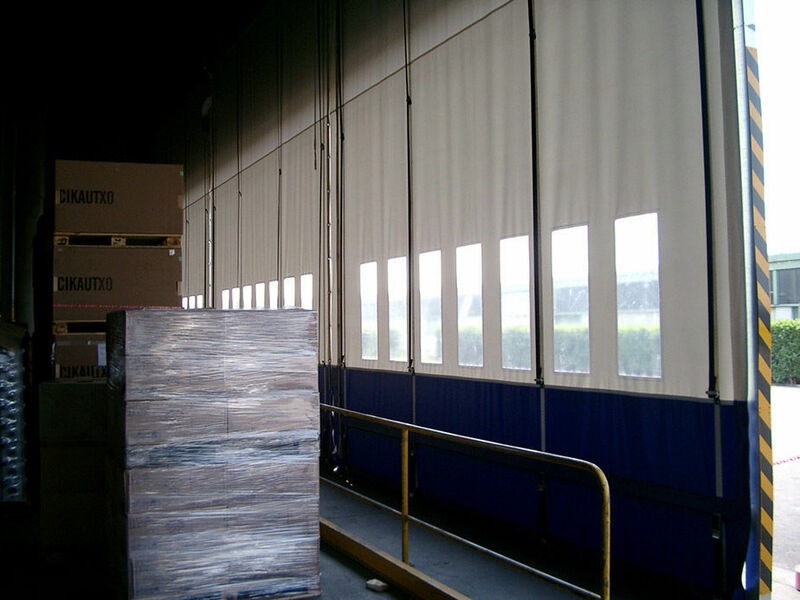 The folding dynamic walls are lifted by rolled up belts on upper shaft, which can be manually operated by hand crank. 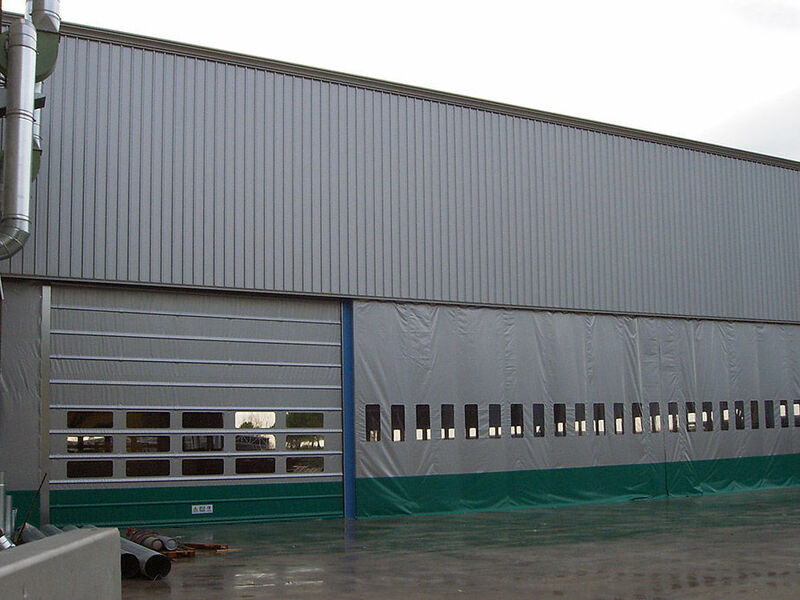 The mantle can be built in one section (max Width 7000 mm) or in linked sections bound by joint bands. Each section is equipped with strenghtening heavy profile inserted in a specific heat-welded pocket at the bottom of the mantle.